The route shows you the vicinity of Janowiec Wielkopolski. It starts in the town’s main square (Plac Wolności) near the Church of St. Nicholas. 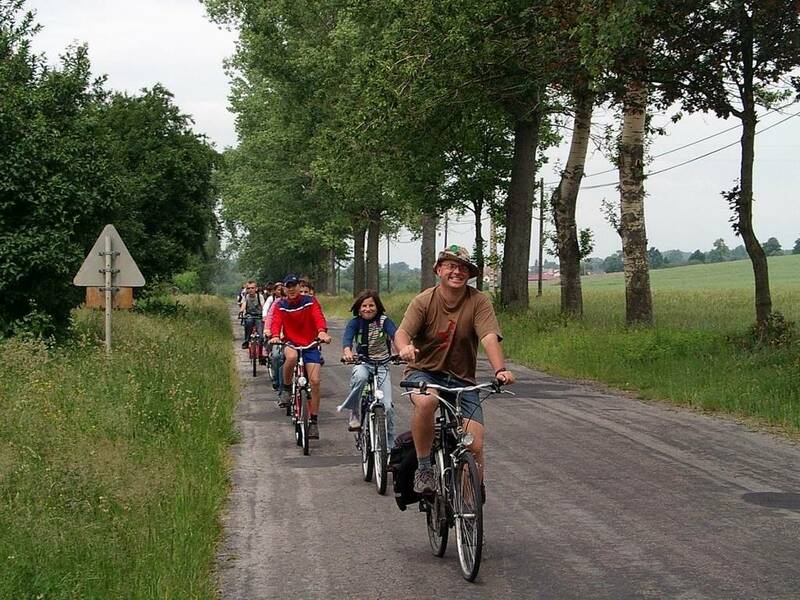 Once you cycle out of the town, you visit the following villages: Brudzyń, where the Moszczeńscy manor and the manor park are, Dziekszyn, and Wybranowo. The wooden footbridge takes you over the Wełna and into Brudzyń forest, then – across the hills of Lisie Góry – you reach the villages of Robertowo and Gołaszewo. On the way, you pass the former evangelical Church of the Assumption of Our Lady in Laskowo. The forest stream called Sipiorka or one of the charming glades are definitely good places to rest. As you continue east along the hills of Pagórki Janowieckie, you get to the outskirts of a forest. 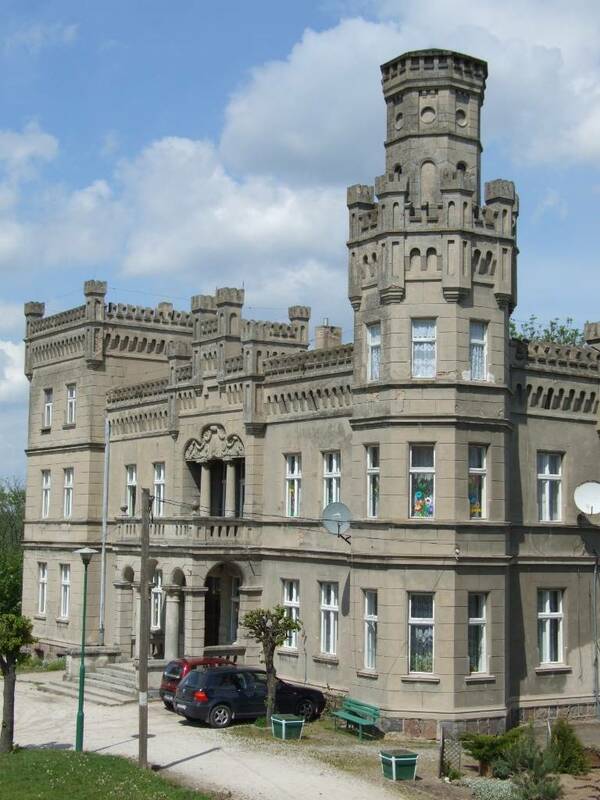 There, you can enjoy a broad vista of Kołdrąb, with the tower of its neo-Gothic church and the neo-Gothic palace (now a children’s home). The trail ends at the junction of roads towards Sarbinowo, Rogowo, and Janowiec Wielkopolski, where it joins the Pałuki Cycle Trail (marked blue) and the Hipolit Cegielski hiking trail (from Zrazim to Trzemeszno, marked yellow).